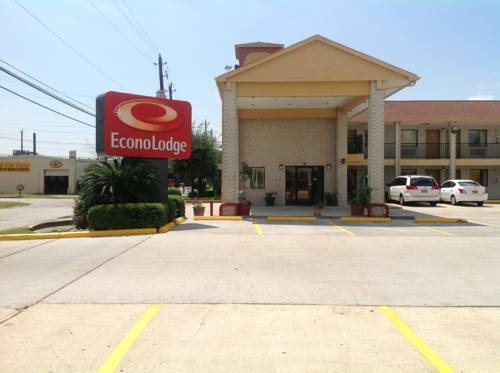 The Econo Lodge hotel is conveniently located near many Houston attractions, including the Sam Houston Racetrack, the George R. Brown Convention Center, Six Flags SplashTown water park, the Downtown Aquarium and the University of Houston. This Houston hotel is just 22 miles from George Bush Intercontinental / Houston Airport and the William P. Hobby Airport. Visitors will enjoy browsing the stores at the nearby Northwest Mall and Galleria Mall. A variety of restaurants and shops are within walking distance of the hotel. Local restaurants include Wendy's, Valley Ranch Barbecue, Denny's, IHOP, Joe's Crab Shack, Pappasitos, Red Lobster Seafood Restaurant, Golden Corral, TGI Friday's, McDonald's and Jack in the Box. - George R. Brown Convt. Ctr.